Hello! 🙂 I’ve been busy…just couldn’t resist whipping up one more Winter Whimsy, and this time it’s just for ME! So, of course I obliged, lol! Here it is all laid out in it’s pink and green glory. I just love the colors, don’t you? There’s something about this very mix of hues that remind me of a rose or wildflower garden, and I just want to have them around me. It makes me feel very pink and pretty indeed, to be able to wear something in this color! 🙂 …and oh, so soft! 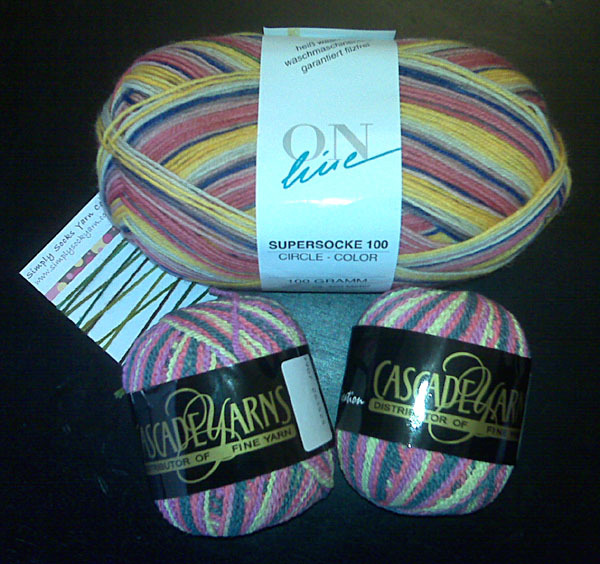 The yarn was right…it was meant to be a Whimsy, lol. The buttons I found at the Shibori Dragon…a delicious yarn and fabric store that I am lucky enough to have nearby. These buttons were amongst the many tubes of pretties, just waiting to be picked for this project. Just in case you want to know what this little pretty looks like on… here ya’ go! 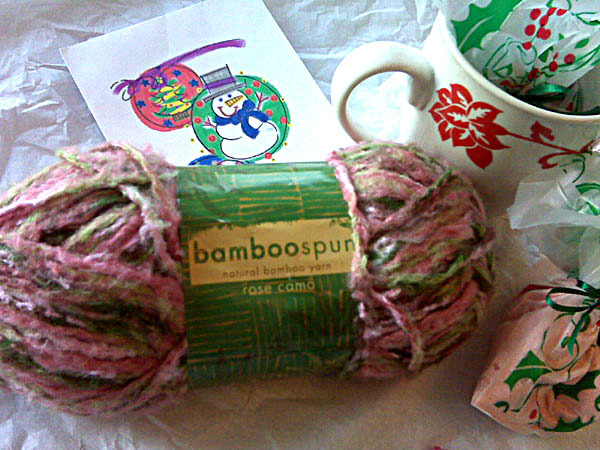 I wanted to show you how nice the Whimsy looks with my Heather Rose Wristers, too. More pink is just blooming all around, lol. It seems I don’t wear one without the other since the Whimsy came off the loom! Hope you’re having a stupendous week! This entry was posted in Free Loom Patterns, Loom Alongs, Loom Knitting. Bookmark the permalink. I love the colors they are my favorite and it looks great on you. The buttons are fab. I do have to find my button box I have a ton of them and can’t find the container, been collecting for years. The new yarn love it lol love pink and pink blends. Hurt my hand not able to loom and hard to type so I stop now but you did great as always. Oh that turned out so pretty…I LOVE it!!!!! Love the colors of your whimsy! Absolutely perfect! Sorry I was not able to do the lal for this. I still have the pattern and supplies and do intend to knit it up. We lost my FIL on the 31st and after the funeral week of family gatherings, every weekend has been spent closing up the apartment and sorting through everthing with family etc. So, mine will come along sometime soon or at least in a few weeks. I think this is an amazing versitile pattern! Thank you for sharing it with us. I’ve saved all the notes!! Spectacular model showing us the finished product!! ;) Oh-just saw the matching half gloves! Perfect! I need more hours in a day… so I can make a Whimsy too 🙂 I love your pink whimsy and how well it goes with your mitts. Hugs! hey can you send me all the instructions to make the winter whimsy… i made my own version and have not yet added the buttons and i really need help with that. so can you please send me a note on how to attach the buttons. 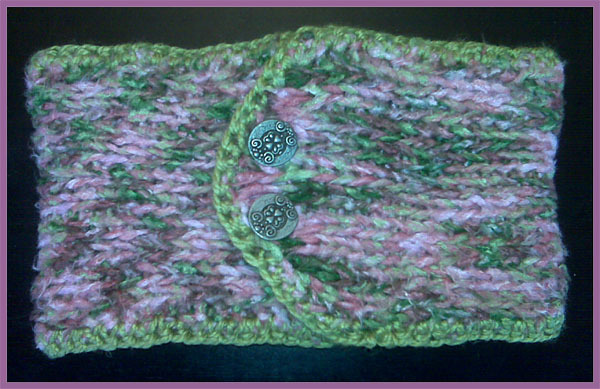 Please check out my site.. happy knitting!